Coffee. Fuel. Life. I need it, and was on the search for a really great cup while I was in Miami. So, I headed over Panther Coffee In Sunset Harbor. This locally based coffee shop specializes in the small-batch roasting of coffee beans, and preparing finely crafted beverages. I ordered a Cappuccino, which was just what I needed. Nice flavor, and a beautiful little heart in the foamed milk. They also have an amazing looking selection of cookies, so, I obviously had to get one. I went for their S’Mores Cookie, because, duh. It’s about the size of a small child’s face, and super delicious (the cookie, not a child’s face). It has a nice, slight crispness on out outside, and a soft, chewy center, riddled with chocolate chunks, graham and tiny bits of caramelized marshmallow. 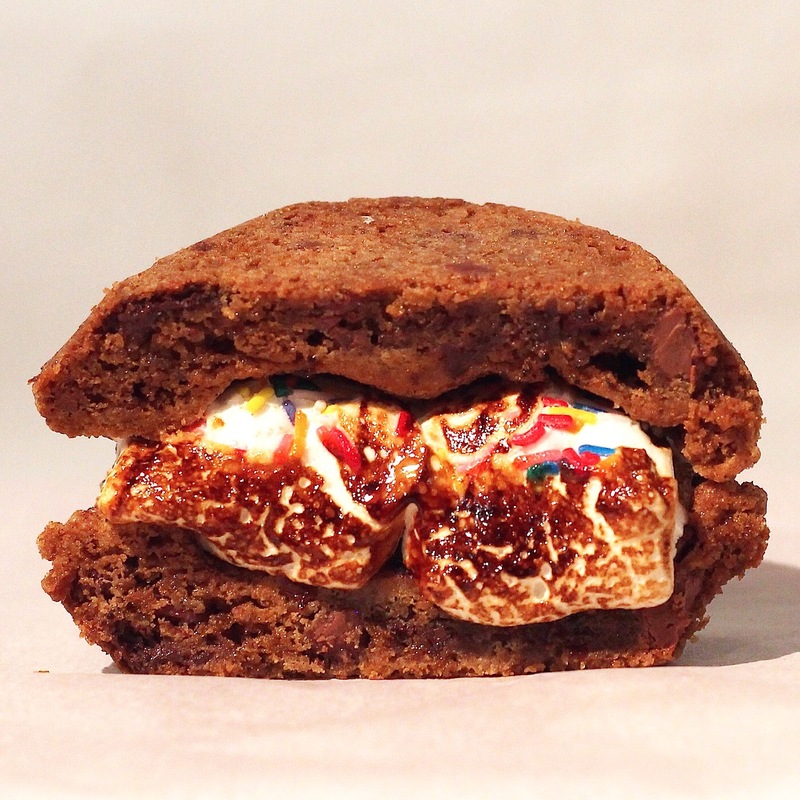 I got creative with it and made a S’Mores S’Mores Cookie with some Birthday Party Squish Marshmallows. It was off the charts. The Long and Short: Would I go back? For sure, the space is open, bright, and you can tell they take a lot of pride in making each coffee. Would I recommend it? Yes, a great spot to grab a cup, and definitely when it’s accompanied by a giant cookie.